In 1993, when I first moved to Charlotte, I moved into an apartment in Dilworth. The rent was $385 a month. I doubt you could rent a doghouse for that price in Dilworth now. It’s not just our city’s fancy neighborhoods, though. All over Charlotte, we have a serious problem: Thousands upon thousands of people who work here and contribute to this community, can’t afford to live here anymore. The numbers from the Census Bureau say that since 1990, home values here have gone up 36 percent, while median household income has gone up just 4 percent. But those are just the numbers. In our series Finding Home, WFAE has been telling the stories of what the affordable housing crisis means to Charlotteans down at street level. We’ve taken you to neighborhoods such as Seversville, Enderly Park and Cherry. Those were all mostly black neighborhoods where families could find a place to live on working-class salaries. Those neighborhoods were left alone when most white people with money lived in the suburbs. But now the trend is back inward, closer to the center of things, and so big money is flowing into those neighborhoods. Developers are tearing down modest homes and building new ones that might cost half a million dollars or more. As you might imagine, that’s causing some tensions in those neighborhoods – especially when the people who have lived there for decades suddenly feel like outsiders. Well, you might say, that’s the market at work. Those folks just need to find somewhere else to live. The problem is, the alternatives are drying up. Nobody’s building near enough affordable housing to meet the demand in Charlotte. So poor people – including a lot of the working-class poor – are just about out of options. There are a few possible solutions floating around. Three financial companies with ties to Charlotte – Bank of America, Ally Financial, and Barings – have pledged $70 million to help boost affordable housing in the city. Most of that will go toward lower-interest loans to developers who pledge to build affordable houses or apartments. The problem is, in the past, a lot of similar promises have been broken. Developers either go back on their word, or finagle new deals, or go bankrupt before the units ever get built. Time and again, the people with the least power and fewest resources get shafted, while folks with money move into shiny new houses, and don’t give much thought about who used to live there. Some people are also exploring the option of community land trusts, where a nonprofit would lease land to people who could own their homes, but would have to sell them back to the trust at a below-market price. All these things require something Charlotte seems to have in short supply: Sacrifice. To make sure we have enough affordable housing requires giving a break to our neighbors who are having a hard time making ends meet. It’s a hard thing to do when we are taught and trained to gain maximum value for ourselves. But those of us with means should remember that all the things we love about Charlotte, people without much money love those things, too. In the end, we’re all doing the same thing: trying to carve out a little space that we can call home. 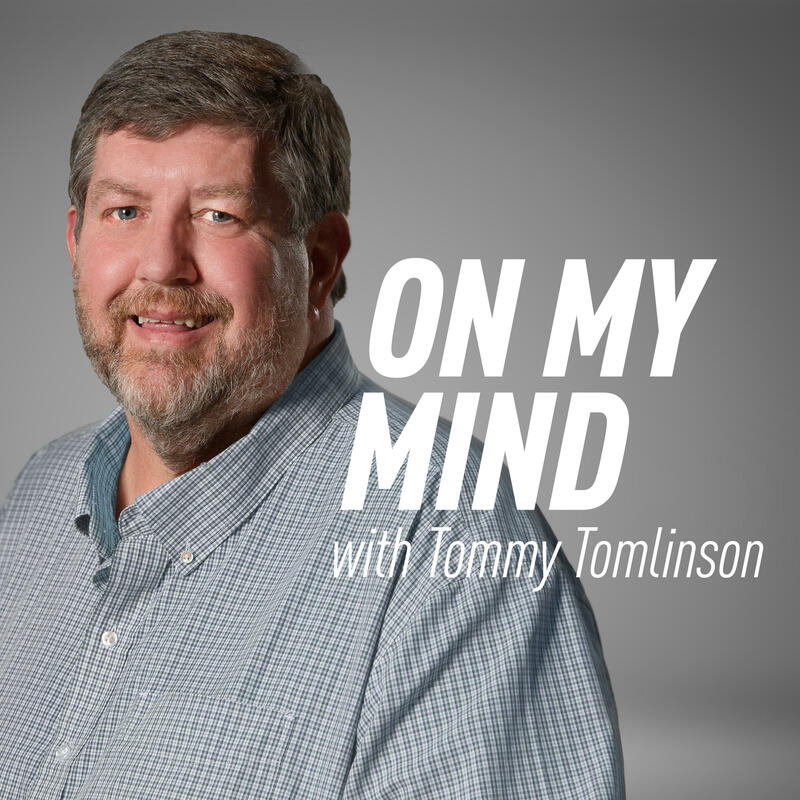 Tommy Tomlinson’s On My Mind column runs every Monday on WFAE and WFAE.org. It represents his opinion, not the opinion of WFAE. You can respond to this column in the comments section below. You can also email Tommy at ttomlinson@wfae.org.